The Council of the EU decision on Belarus of 20 June 2011 introduced a new development into EU-Belarus relations. Apart from designating additional persons to an already impressive list of those subject to travel restrictions and assets freeze, it provided for an arms and repression tools embargo and targeted three companies, which European officials think are linked to the Belarusian regime. Politicians and academics are struggling to understand how to deal with Belarus. In this regard, Professor Peter Van Elsuwege of Ghent University in Belgium made an interesting overview of history of the EU-Belarus relations. On the one hand, his article contributes to raising the awareness about Belarus in academic circles. On the other hand, he makes interesting observations about the history of Belarus-EU relations in the search of a viable approach towards Belarus. 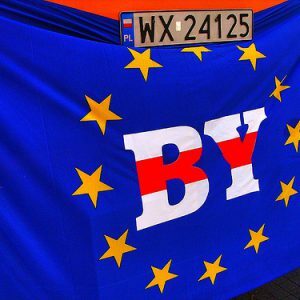 Professor Van Elsuwege argues that the EU faces one main policy dilemma: either to accept the regime and undermine the EU’s credibility of a promoter of democracy and human rights, or to continue isolation against self-interest of the EU due to security issues and transit position of Belarus. Probably this distinction is too sharp and the EU has never faced the problem in these terms for any reasonably long period of time. It seems that today the EU tries to find a fragile balance rather than making a clear-cut policy dilemma choice. The article rightly underlines the EU’s two-track approach consisting of conditional engagement at the official level and assistance on the civil society level. To follow the development of this approach, the article describes the history of the EU-Belarus relations in several periods. Professor Van Elsuwege correctly identifies the major breaking point in 1999 when the EU adopted a step-by-step policy. This was a manifest move from isolation to a conditional engagement. The strong side of the article is that it hints not only on the problems of the EU approach to the Belarusian authorities, but to Belarus as a whole, including ordinary people. For instance, Van Elsuwege is dissatisfied with the fact that EU objective to facilitate people-to-people contacts is in conflict with strict migration policy and increase of Schengen visa fees. The bottom line of the article is that the results of the EU policy are limited. Van Elsuwege relates the limits of the EU’s influence to the absence of sufficiently attractive incentives and high political power costs. Indeed, the EU has never been able to make a proposal to Belarus authorities where the benefits would surpass the costs. Most of the time Russia was willing and did manage to outbid it. It is therefore understandable why Van Elsuwege concludes that a change in Belarus is impossible without involvement of Russia and recommends engaging with both countries simultaneously. This strategy might prove feasible now due to a change in Russia’s approach to Belarus: reluctance to provide easy loans, condemnation of human rights violations, and recurring negative news coverage in Russian mass media. However, many argue that Russia is not interested in replacing Lukashenka because it may see politicians in Belarus who are less isolated and, as a result, more independent from Russia. The article was written before the December 2010 elections and therefore does not cover the period afterwards. Using the author’s methodology, this period can be classified as the sixth stage in the EU-Belarus relations. The new European sanctions regime is a constituent part thereof. Further research should be encouraged to reflect on these new developments. Maksim Karliuk is a contributing author. He has just completed his Masters' Degree at the College of Europe in Brugge, Belgium. This week the European Union introduced economic sanctions against three Belarusian companies supposedly linked to Alyaksandr Lukashenka. The European Union also imposed an embargo on Belarus on arms and on materials that might be used for internal repression. It is the first time ever that Europe imposed an arms embargo against Belarus and economic sanctions against individual Belarusian companies. Many questioned whether Europe could ever agree on it. The eventual introduction of sanctions shows how alienated from Europe the Belarusian regime is. 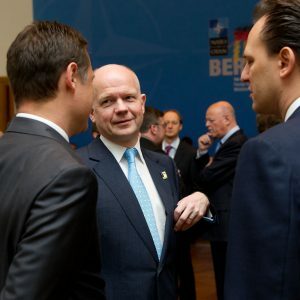 According to British press, the United Kingdom Government and in particular British Foreign Secretary William Hague lobbied hard for economic sanctions. Apparently Poland was another country particularly unhappy with Lukashenka. On Monday, Polish Foreign Minister Radoslaw Sikorski announced that Lukashenko should choose between democracy or the Hague tribunal. Other countries, led by Italy and Latvia, had opposed the introduction of economic sanctions. But these countries remain a minority. It appears that Europe plans to gradually increase its sanctions in response to the ongoing human rights violations in Belarus. However, the effect of these sanctions is unlikely to have any major impact. Economic sanctions against three Belarusian companies have a great symbolic meaning. But their actual economic effect is likely to be less significant. The impact of sanctions on the business depends heavily on whether the companies still had significant assets in Europe. Discussions about possible sanctions against Belarusian arms exporters have been going on for months. Most likely companies like Beltechexport, one of the companies affected by the sanctions, have already moved what they could to safer locations. Beltekhexport is already on the United States sanctions list for violation of its nonproliferation regime. Belneftekhim has been under the United States Sanctions since 2007, but Europe hesitates to target it. European companies have significant business contacts with Belneftekhim, which may partially explain the hesitance. Moreover, the largest Belarusian state company, the potash giant Belaruskali remains untouched while the Belarus government is trying to find a buyer for it. Therefore, Europe left itself plenty of space for future manouvering. The EU deplored the continuing deterioration of media freedom in Belarus, including the lawsuits filed by the Ministry of Information to close two of Belarus’ largest independent newspapers, Nasha Niva and Narodnaya Volya. They also condemned the trial of the journalist Poczobut, and the cancelled licence of radio station Autoradio. Indeed, journalists in Belarus remain the main target of repression. Although in theory Europe supports media freedom in Belarus, the brunt of that burden remains on Poland. This country hosts the main Belarusian independent outlets such as Belsat and European Radio for Belarus. They produce good content, but the majority of Belarusian population has no regular access to satellite television or Internet. Helping Poland with setting up direct transborder broadcastings could be a better and quicker way to enable Belarusians' access to uncensored information. In the resolution on sanctions the European Union also expressed its hope that the Belarusian Government will cooperate with Europe on simplification of visa procedures. In other words, the European Union failed to reach a consensus on a unilateral simplification of Schengen visa procedures. Many believe that it is naive to wait for the Belarus government good will (there may be none) and the European Union should simplify visa procedures unilaterally. Individual member states already started doing it. Lithuania recently joined Latvia and Poland which agreed to unilaterally waive visa fees for most of the national visas they issue. Lithuanian Parliament amended a law which currently allows to reduce or waive visa fees in the interests of foreign policy and national security. In the past, such reduction required reciprocity. By reducing or waiving visa fees Lithuania attempts to facilitate development of civil society in Belarus. However, getting the most popular short-term Schengen visas, is still more cumbersome and expensive for Belarusians than for any of its neighbours. Russia promptly condemned European sanctions against Belarus. Moscow is playing is own game in Belarus. The Kremlin decision-makers understand that the recent changes in the level of subsidies to Belarus has a more dramatic effect on Belarus economy and politics than all European or American sanctions combined. For years Belarus has been on the needle of Russian subsidies and now it suffers from a terrible hangover. For Russian businesses the new European sanctions merely create a favourable context to cheaply privatize state-owned assets in Belarus.